DiGi's New Logo Makes People Ask: "Is It DiGi Or digi?" Did you know that DiGi has a new logo? It has been around for a week and is actually really easy to miss, so don’t feel bad if you haven’t noticed it. 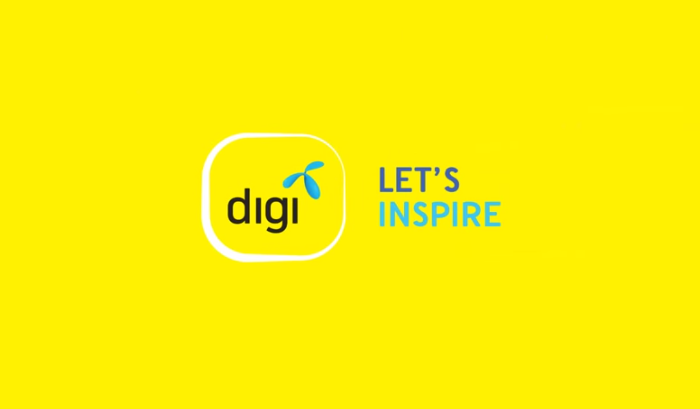 DiGi is, unsurprisingly, still keeping its trademark bright yellow and the words ‘digi’ on the brand new logo. However, that’s where the similarities end. The words ‘digi’ is now black instead of blue and the shape of the logo is replaced with a square with rounded corners. The most glaring difference between the old and new logo, however, is the little-explained Telenor Group logo floating unassumingly at the upper right side of ‘digi’. Telenor Group is one of the world’s largest mobile telecommunications companies and holds a 49% stake in DiGi Telecommunications, so it’s not surprising to see it being included in the logo. Personally, I’m a fan of the new logo, though the lack of capitalizating in ‘digi’ looks a bit weird considering how it refers to itself as ‘DiGi’. Not quite sure if the logo designer forgot about that detail, or they just got tired of capitalising ‘G’ in the middle of the word. That’s not all, though. DiGi Telecommunications Sdn. Bhd. held an event in January 22, 2015 to announce the new logo along with a “Let’s Inspire” campaign. DiGi Easy: Promise of consistent and seamless customer experience, and best self-serve channels through our widest network of service touchpoints. All calls to our customer service careline are free. Best for Internet: Fastest growing data network, guaranteeing most consistent internet experience and best social media engagement and content platform. DiGi’s website has a series of videos of inspirational videos that relates to their “Let’s Inspire” campaign. If you’re keen on joining in the conversation, have a look at the site. Similarly, you can join in their campaign using the hashtag #digiLetsInspire. As a DiGi user myself, I’m excited to see better coverage for DiGi and faster internet speed. Beyond that, this update doesn’t seem to have much impact on me as a long-time user personally. However, I will definitely be following the yellow man to keep an eye out for anything else DiGi has to bring for 2015!